Today Simba Technologies Inc., the enterprise leader in standards-based connectivity solutions for relational and multi-dimensional data, announced that data driven app innovator WebAction, Inc. is using the SimbaEngine™ Software Development Kit to develop ODBC connectivity for its revolutionary Real-time Enterprise App Platform. The SimbaEngine SDK—the best-in-class driver-development environment for enterprise data integration—enables developers to produce ODBC, JDBC, OLE DB or ADO.NET data connectivity to both SQL-enabled and non-SQL data stores. With SimbaEngine-developed connectivity, WebAction customers will be able to extend their applications to the leading analytics and data-visualization solutions like Tableau, Excel, and other BI tools. WebAction data driven apps will offer an elegant web services layer that enables connection via ODBC. WebAction customers can perform SQL-like queries on their real-time big data, then work with their resultant Big Data Records in the analytics application of their choice. 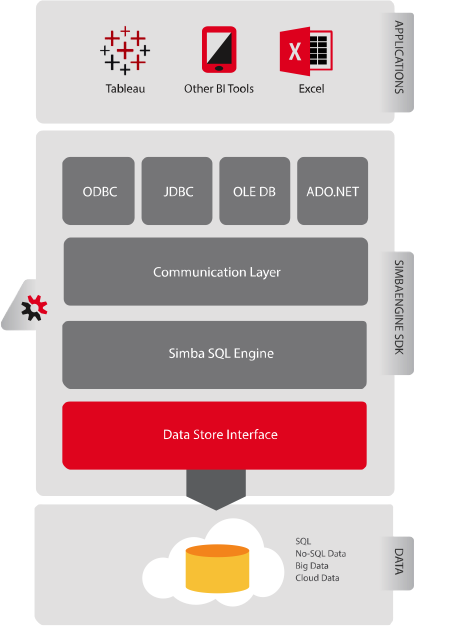 Simba Technologies’ SimbaEngine SDK 9.3 is the platform for building ODBC, JDBC, ADO.NET, or OLE DB data connectors to SQL-enabled, NoSQL, or proprietary data sources. The SimbaEngine SDK 9.3 is a componentized, extensible framework that Independent Software Vendors (ISVs), Data Warehouse developers, and F5000 enterprise developers can use to quickly implement commercial-grade, scalable, easy-to-maintain data drivers, often in as few as five days. 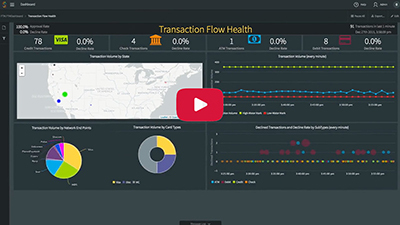 The WebAction Real-time Enterprise App Platform enables next generation data driven apps ready for the Internet of everything. WebAction acquires both structured and unstructured data from sources including database transactions, systems and device logs, social media, and many more. Using a familiar SQL-like language, WebAction users can correlate multiple data streams, enrich those streams with context and historic data, and build real-time data driven apps in days, not months or years. Simba’s SimbaEngine SDK 9.3 platform is available for individual, enterprise, and OEM licensing. For more information about the SimbaEngine SDK 9.3 and to sign up for a free trial, visit www.simba.com/products/simba-engine-sdk. To see how easy it is to develop a connectivity driver using the SimbaEngine SDK in just five days, visit www.simba.com/resources/webinars/build-a-driver-in-5-days. Simba’s software is used worldwide. Its customers include leading independent software vendors and global enterprises like Alteryx®, Cloudera®, Datastax®, Hortonworks®, MapR®, Microsoft®, Oracle®, Qubole®, SAP®, Splunk®, Tableau®, and Teradata®. WebAction offers real-time data driven Apps and the underlying Real-time Enterprise App Platform. The platform allows data-in-motion to be filtered, processed, enriched, and correlated with other streams and context data. Real-time Apps are built in days, not months or years. Learn more at www.webaction.luxcer.com.